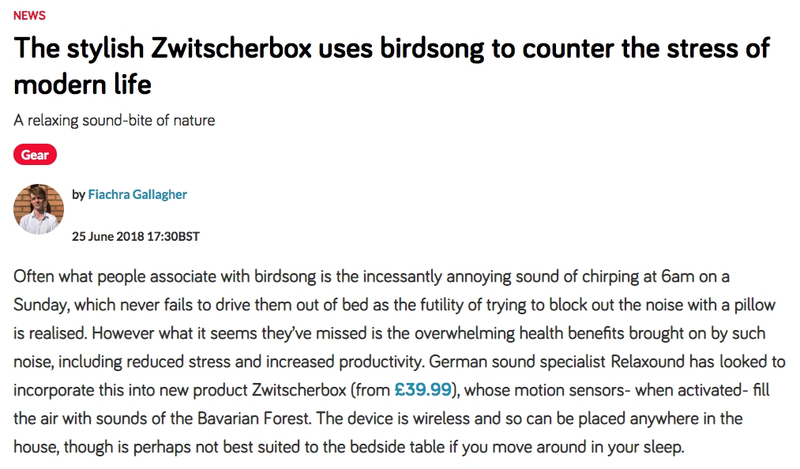 The stylish Zwitscherbox uses birdsong to counter the stress of modern life. This new product has motion sensors that, when activated, fill the air with the sounds of the Bavarian Forest. 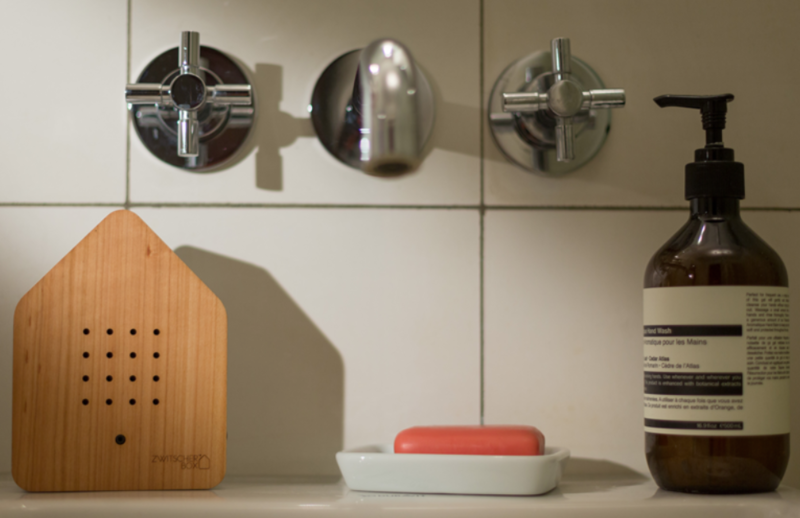 The device is wireless and so can be placed anywhere in the house.